Students interested in improving the lives of socially challenged communities have taken part in a collider event hosted by the Seannachies network of researchers, healthcare practitioners, agencies and policy makers. 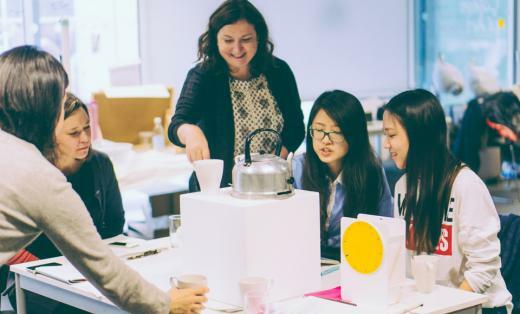 Based at the Centre for Design Informatics, the interactive workshop encouraged participants to consider the role of storytelling and social isolation within the context of data and the digital world. The event was facilitated by Professor Jon Oberlander of the School of Informatics at the University of Edinburgh and framed by lightning talks from Mike Wilson (Professor of Drama at Loughborough University), Anna Goulding (Research Associate at Newcastle University) and storyteller, Russell McLarty. “The Seannachies collider brought academics and organisations from the wider network together with students from Design Informatics. We wanted the event to challenge both groups, pushing the network members to consider the potential and limitations of digital technology and the role of data. The Design Informatics students had a really open outlook and provided fresh insights and approaches to the challenges of social isolation, thinking beyond conventional technologies such as social media. Ideas that emerged included a connected teas made, and a tactile, sensory ‘iPot’ that could connect people with resources and activities”.